The Bonneville is a solidbody, dual pickup, 22 fret electric guitar, featuring a sturdy mahogany construction and a 648mm scale. The Bonneville is a powerful Rock'n Roll ally. 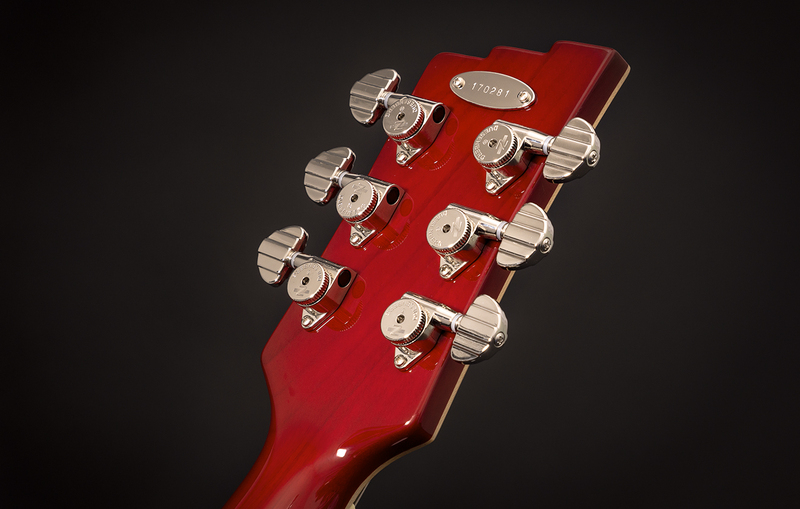 It is made from premium mahogany for both body and neck and features a sturdy long neck tenon construction. 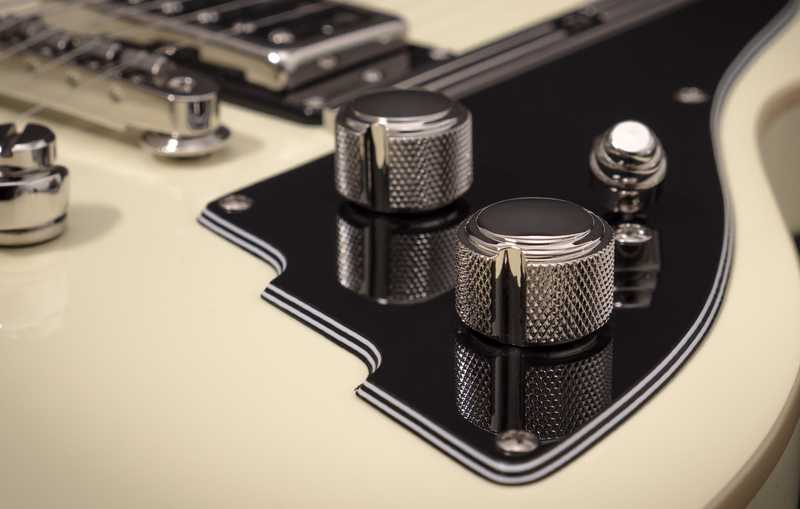 It sports an elegant cream binding around the body and neck and carries a stylish 5-ply black and white pickguard. It is fitted with two of our acclaimed GrandVintage humbuckers which deliver a transparent and defined tone serving all your overdrive and distortion needs. They are controlled by our solid 3-way switch which selects either one of them or a combination of both. 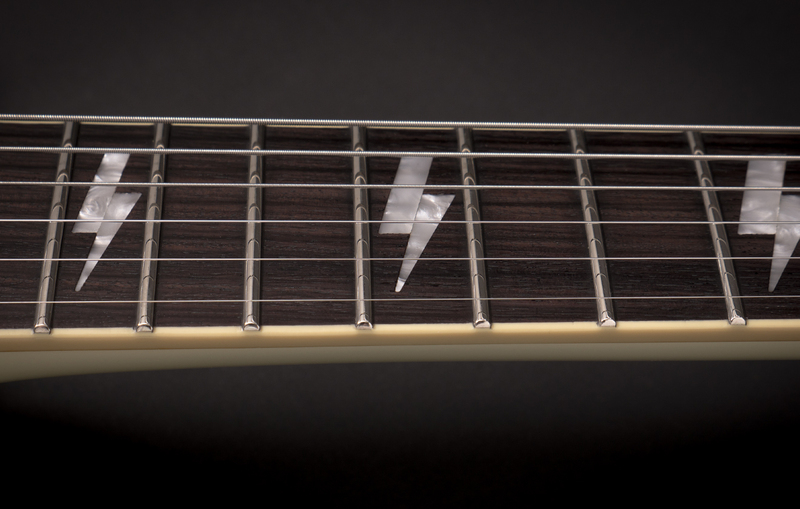 The Duesenberg Lightning fretboard inlays, easy to use Z-Tuners and the combination of the Steel Saddle Radius Bridge and our aluminum Stop-Tailpiece underline the straightforward nature of this instrument and will give you the durability and sophistication you expect from a Duesenberg instrument. 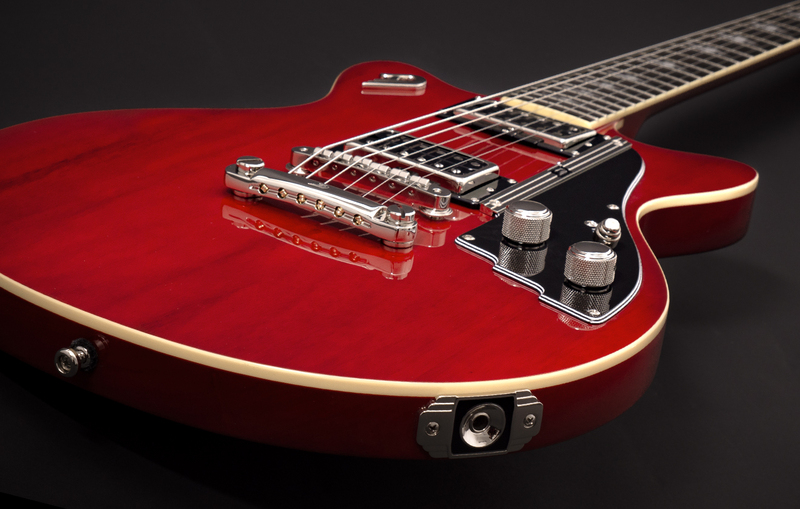 The Bonneville is available in two classic colours: Cherry Red and Vintage White. Size: 42 x 34.8 cm / 16.5" x 13.7"
Height (sides): 3.5 cm / 1.38"